There is no denying Netflix’s knack for producing popular shows (as OITNB is basically what everyone talks about.) 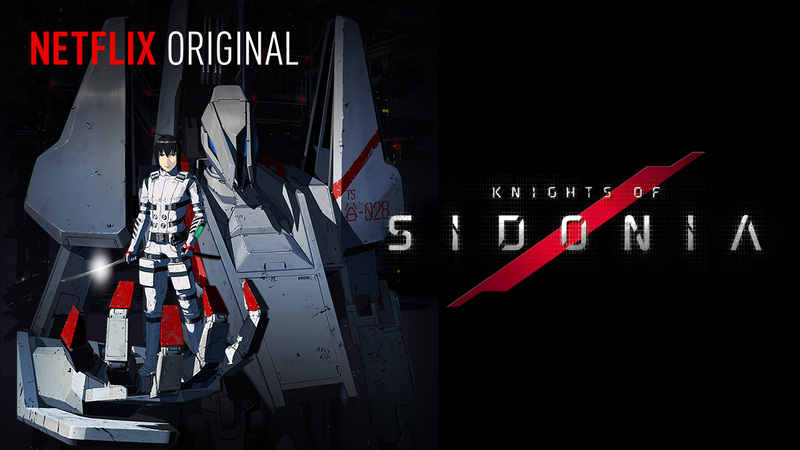 Netflix is now branching out with the anime TV series, Knights of Sidonia, streaming this July 4th. The Knights of Sidonia originates from the manga comic series and the anime TV series that aired in April-June in Japan. The story revolves are the protagonist of the 12-episode summer series, Nagate Tanikaze, and his adventures set on the space ship named Sidonia. Nagate is one of the “genetically engineered refugees” fleeing from the massive destruction of Earth. Nagate’s futuristic dystopian world includes the ultimate bad guys, the Guana, who are shape-shifting aliens that want to destroy all of humanity. Thus Nagate discovers his talents as a pilot and joins the elite team of Sidonia defenders against the Guana. Netflix’s anime collection currently streams Digimon, Astro Boy, Pokemon: Indigo League, Pokemon: Black and White, among many more. Since the series is Japanese, Nextflix expects to either have subtitles available or dub it in English. The series is produced by Polygon Pictures, a Tokyo based company, which also animated Star Wars: The Clone Wars, Tron: Uprising, and more. The Knights is said to be humorous and extremely detailed from the characters to the animation. Fans are looking forward to this potential “international cult favorite”.